Life is full of obstacles. There is no doubt that it can be hard to make ends meet financially especially if you are a college student trying to juggle classes with a job. College graduates that opt not to live at home with their parents, want to find a place to live that fits within their financial means. With the cost of living, it can be difficult to live on your own. compatible roommate. With a roommate, you can divide the costs of rent and additional utilities. This allows for more financial freedom to help pay off those other debts that keep building up. These resources help to find a roommate. There are several resources that you can turn to find a roommate. You can resort to a service that is designed to match you with a roommate. You can place an ad in the newspaper. You can utilize social media to search for a roommate. Chances are that there are others in the same predicament that are willing to oblige in sharing the costs associated with renting a home. Other options, is looking at various applications that can help match you with a roommate such as roommates.com or Roomie Match. Craigslist often has listings of people looking for roommates. If you choose to go on the hunt for a roommate, there are some parameters that you will want to follow in order to find someone that is suitable. Obviously, you want someone that you can get along well with but there are other dynamics that you will want to put in place. Your safety needs to remain a priority as well. Ask your friends for recommendations. Living with a friend can seem like an ideal choice for the perfect roommate but that may not always be the case. 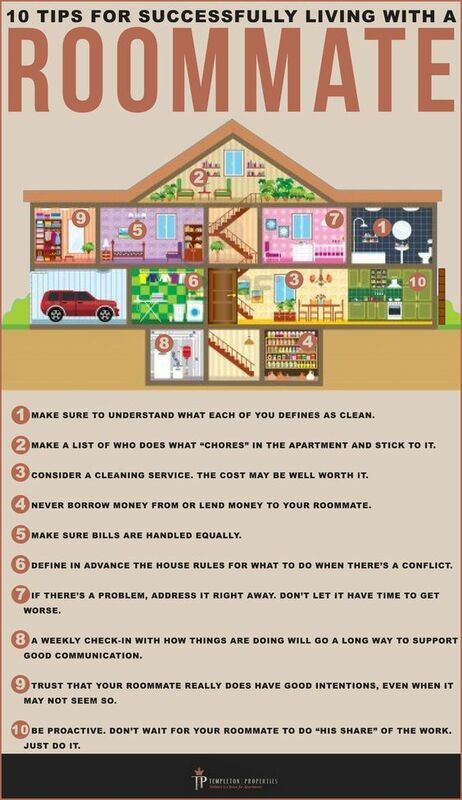 It’s common knowledge that you can really learn a lot about a person by living under the same roof. While you may be compatible in social situations, it could be catastrophic and a risk to your friendship to go into an agreement to live together. Don’t choose a roommate after one meeting. Interview many candidates and then choose those candidates the people that are closest to being roommate material. Meet with those people again. Get to know these candidates as best you can. Look for red flags that can be a potential problem down the road. When interviewing prospects, you want to ask questions that answer whether you could live with these people without potential risks. You want to know if you have anything in common that will make it easier to coexist but that will not do you any good if that person is not reliable. Ask them about their occupation and how long they have had the same job for a reasonable amount of time. Learning more about their rental history is important as well. This can give you a look as to how reliable they are about paying bills. Let potential candidates know upfront about the costs associated with sharing the home. If you are wanting to share additional optional costs such as cable TV or the groceries, make them aware of what they are signing up for. Before concluding on your choice of roommates, require references. Ask former roommates or landlords of prospects about their reliability and trustworthiness. Don’t just take the prospects word that they will be the right choice. If the prospect is someone you have never met, due to a background and credit check. There is nothing wrong with being extra cautious. Once you have decided on who your roommate is going to be, make it official by getting them added to the lease. Even with the best of backgrounds, things can still happen. By adding them to the lease, you have made them financially responsible. This can also protect you in the event that they cause serious damage to unit that you are living in. your new roommate the lease, you can go a step further by creating a roommate agreement. need to be put in place. You can put in writing your expectations about pets, guests or even quiet hours. A roommate agreement can identify required upfront costs like security deposits. The roommate agreement should outline what is expected in terms of their share of rent, utilities, food, and other costs. Once you draft the roommate agreement, read each of the provisions that you have put in place with your roommate. Answer questions if they are unclear about any requirement that you put in place. The new roommate and you should sign the document and make sure that each of you has a copy. Essentially, deciding to pursue a roommate can be a great way to meet the financial requirements of renting a place to live. It is a great way to save money and concentrate on other demanding debts. If the idea of pursuing a roommate seems feasible, then it is with the utmost importance that you put yourself and your safety as the top priority. Whether you have a place established or you are answering to someone in need, put in place these guidelines. 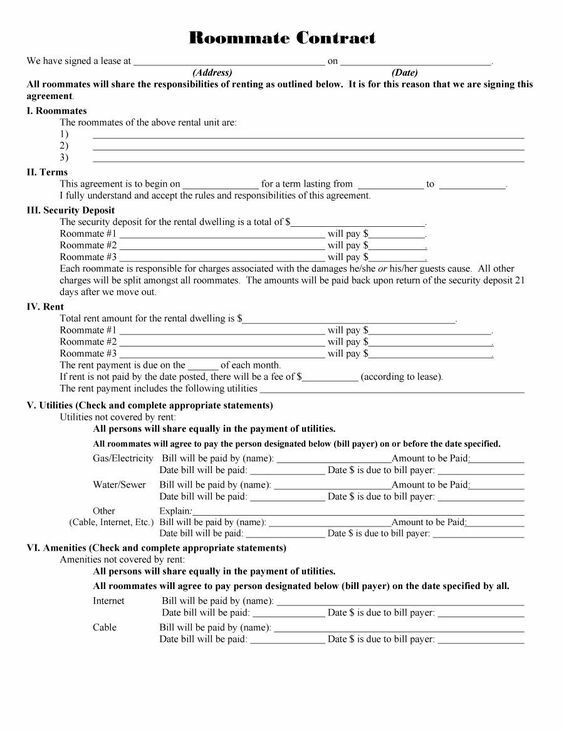 If you are the one answering an ad, then require that a roommate agreement is put in place. Don’t settle for the first prospect no matter how desperate you think you might be. Secure yourself by putting these expectations in writing upfront before allowing the new roommate to move in or you move in with someone, everyone is aware of what is expected and preventing fewer disputes along the way. You will prevent a lot of hardships in the future.